The Cross Channel Atlas - Channel Spaces is the outcome of Franco-British scientific collaboration that involves multi-disciplinary Franco-British university and CNRS (Centre National de Recherche Scientifique - National Centre for Scientific Research, France) teams. The aim of the Cross-Channel Atlas is to provided a diagnostic tool that is both simple and precise, together with the most up-to-date information possible on the economic and social structures and changes in territories that lie along the Channel, i.e. the south-west and the south-east of England as well as the five French regions that have a sea outlet to the Channel, with extensions being considered on the basis of the needs and requirements of the topics addressed. 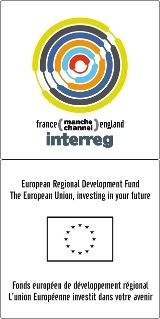 Developed within the framework of two European programmes, Interreg IIIB North-West Europe (EMDI project) and Interreg IVA France (Channel) - England (CAMIS project), the Cross-Channel Atlas – Channel Area is a knowledge tool that is regularly updated and that seeks to provide as close a response as possible to the expectations and queries in respect of development and governance of territories at European level.